A day of hardship is in store for hundred of patients at the All India Institute of Medical Sciences in the capital, after 1,200 resident doctors went on a indefinite strike last night (August 28) over the government failure to hand them their degree certificates. And at the center of this strike is a story of bitterness and vengeance. AIIMS - one of India's premier medical institutions, and hospital with some of the best medical facilities in the country for the rich and poor, has also become a playground for political activisim, medical strikes and a bitter battle between the government and warring administration. Once again today (August 29), thousands of helpless patients are set to suffer after more than 1,200 resident doctors at the hospital went on a indefinite strike, bringing medical facilities at AIIMS to a complete standstill barring the ICU and emergency services. The doctors are on strike, upset over not being given their medical degrees certificates. Doctors claim that over 700 degree certificates are pending the signature of Union Health Minister Anbumani Ramadoss - a man they consider their bette noir. The police have already detained 50 of the 1,200 hundred striking doctors. "This is agitation is all about getting the degrees. We have our interns, we have our senior residents who are all suffering because they have no degrees, they can't apply anywhere outside AIIMS. 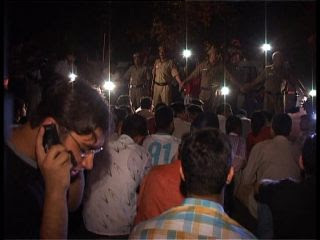 This agitation will continue until the degrees are signed by the minister," resident Dr Harirat told TIMES NOW on Tuesday night (August 28).